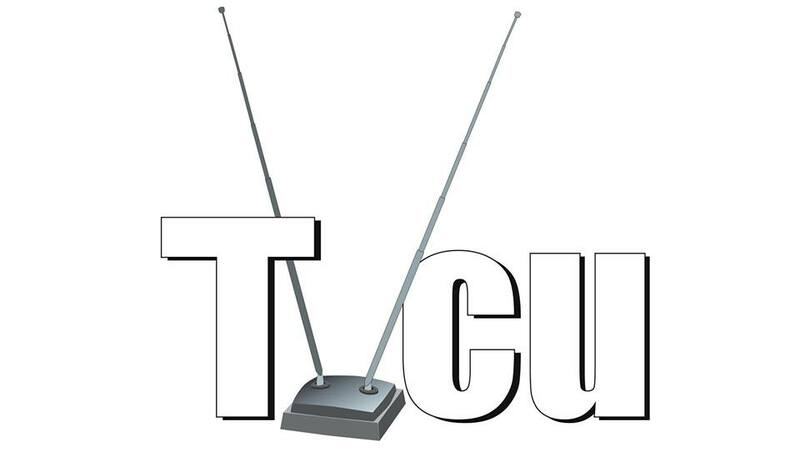 A TVCU blog post by James Bojaciuk. NO. That is not happening. Let’s talk about Bill and Ted. Stupid ponies. It seems this is the show that I cannot escape from. First, the most peculiar of all my exes made me watch this with her; then, my one friend who probably does not want to be named continually sent me all sorts of pony-content without my approval; and then, sigh of sighs, my paper on how a sense of wonder will always attract an audience requires me to watch this show and try to understand the “brony” (bro-pony) culture. (The paper also lets me write about Bill and Ted, H.P. Lovecraft, Edgar Rice Burroughs, Wonderland, and Doctor Who—so it’s not all sunshine apocalypses.) 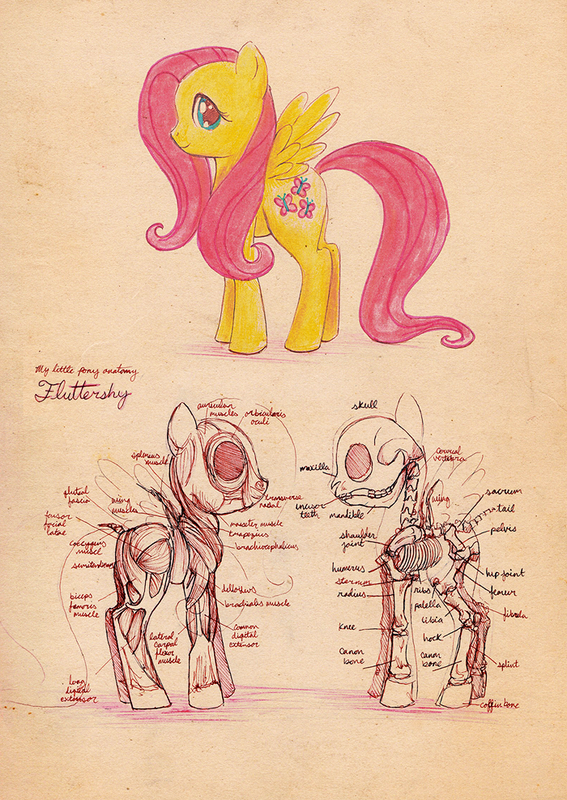 In case you’re dying to understand Equestrian biology, enjoy the following image. For those of you who barely contained your bile during Bio class, I recommend scrolling really really fast. Shall we get down to this? 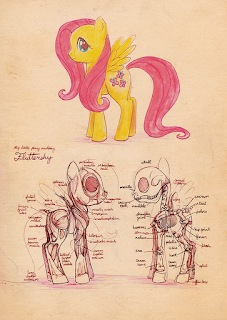 The sooner we finish here the sooner Pinkie Pie will release me. I will be using what appears to be the closest Earth date in dating episodes. Honestly, since I’m trying to date episodes based on the movements of a Time Lord, any dates I give are my best guess and are fully open to revision. 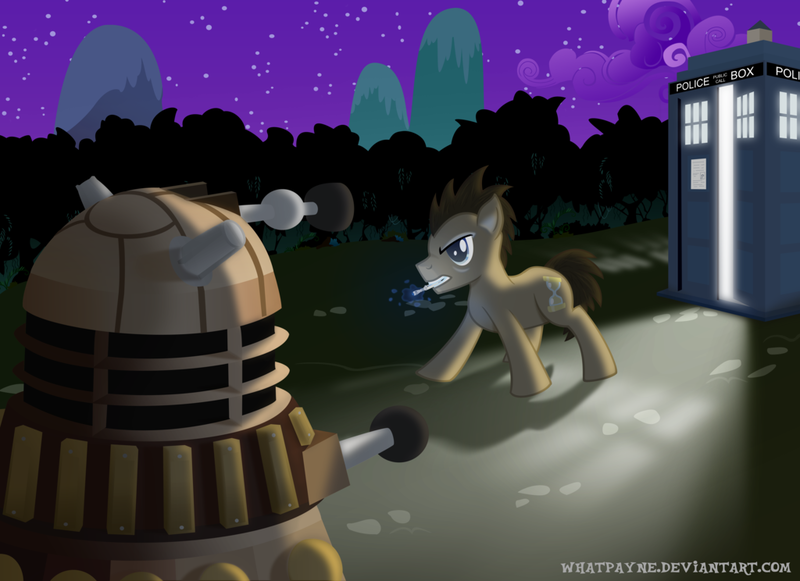 The Doctor travels back to Twilight Sparkle’s childhood. His reasons for doing so are entirely unclear, but, then, how often are the Doctor’s motivations ever clear? Perhaps he just wanted to go to a party someone had told him was fun. So. 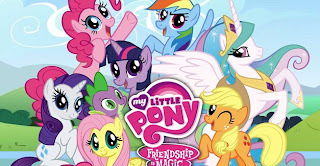 This is a show about magical ponies who go on magical adventures. This is the pilot. Here, Twilight Sparkle and her secretary midget-dragon (*sigh* baby-dragon) Spike travel to the city of Ponyville for the grand festivities. Things go wrong. An evil-princess, Nightmare Moon, returned from her exile on the moon and engaged in an attempt to take over all the world and plunge it into darkness. 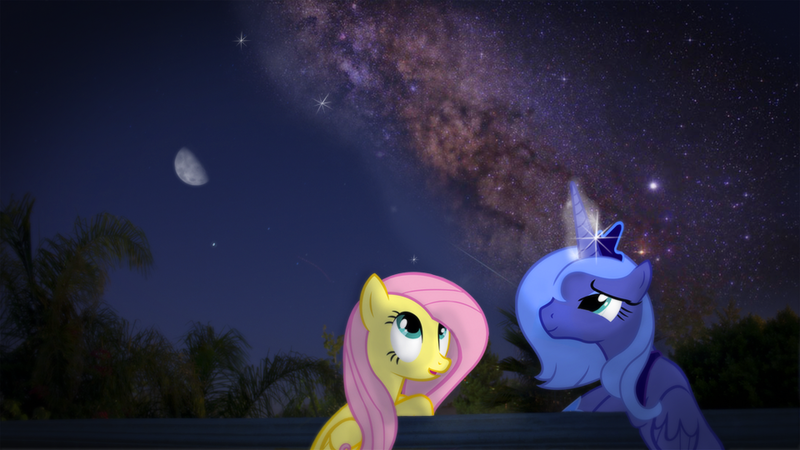 By the end of the episode, of course, she reforms and becomes the friendly Princess Luna. 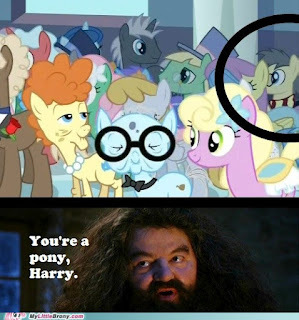 Doctor Whooves appears in the background several times. Knowing him, he likely had a vital hand—er, hoof—in insuring this adventure had a happy ending. Who is Doctor Whooves, you ask? He’s the Doctor. The Tenth Doctor, to be exact. 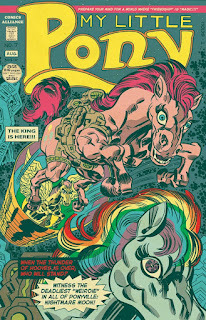 It seems that while he was running from his impending death he ended up in a particularly devilish alternate universe. 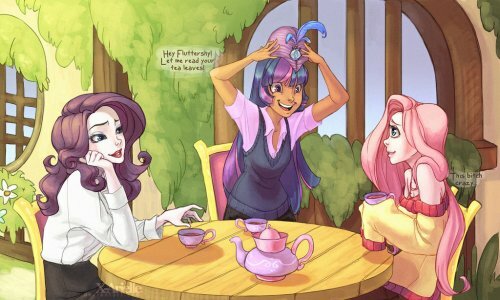 It was filled with magical ponies. He stayed there—is staying there—for a number of years before continuing on to “The End of Time.” Previous incarnations of the Doctor have also appeared in various places in Equestria (why is this a word Microsoft Word recognizes as real?). They will be noted as they appear. 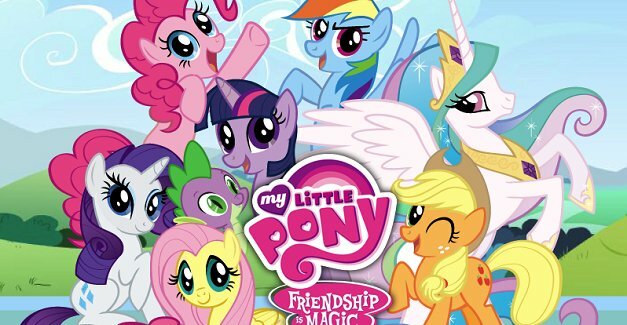 Twilight Sparkle’s “cutie mark” may be a crossover with Hitchhiker’s Guide to the Galaxy. I’ll let her explain. 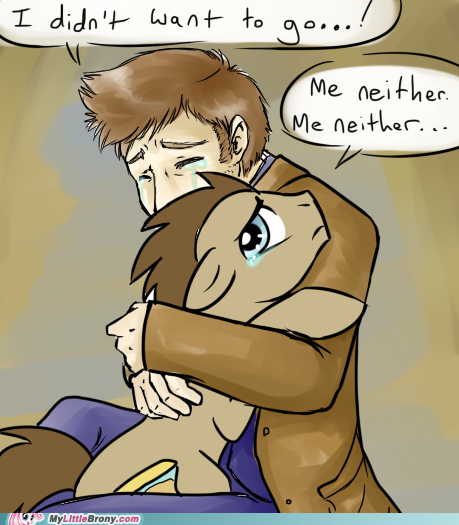 Doctor Whooves really likes showing up in the background. The Doctor attends a magic show, then witnesses the near destruction of Ponyville at the hands, er, paws, of a bear demon. The Doctor takes part in his first musical number, which likely amuses him beyond all reason. At one point, he is seen standing next to himself; apparently he enjoyed the musical number so much that he went back in time to do it again. 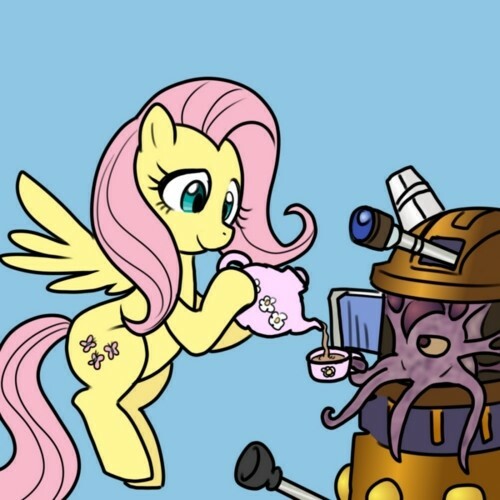 The Doctor is accosted by a little girl…er, pony selling apples. Perhaps “attacked” is a better word. The Doctor does his thing, having adventures in the background that just have to be more interesting than what the main cast is doing. 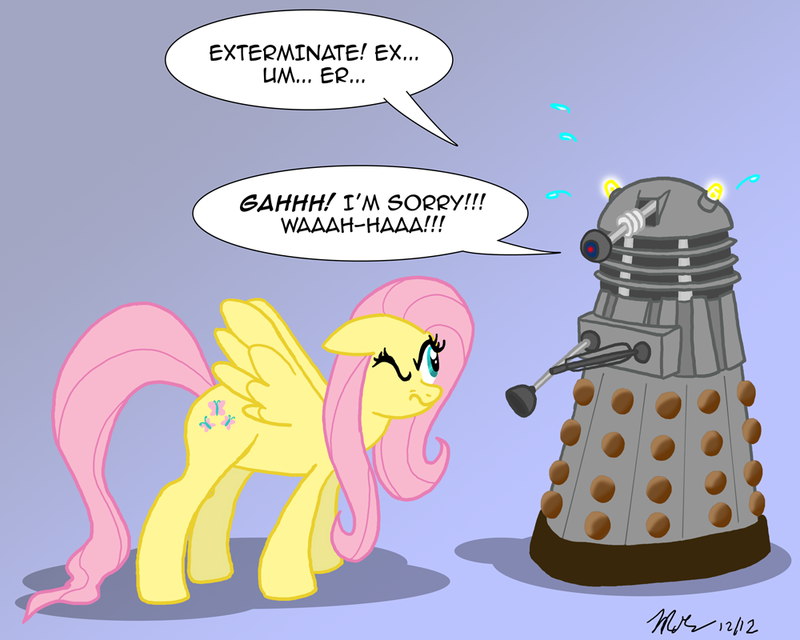 Multiple Doctors show up in Rarity’s dress shop, which indicates he’s playing with the TARDIS’ paradox settings again. Oh dear. 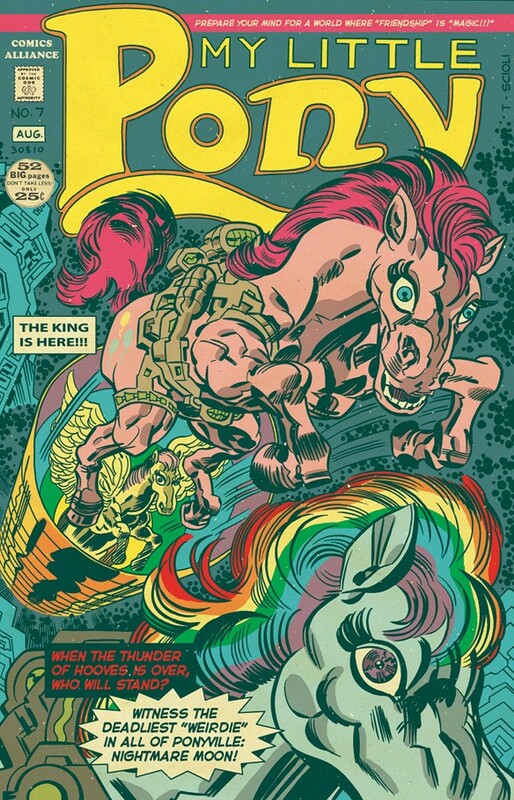 The Doctor altered his pony-form so that he could be a Pegasus. He seems to be having far too much fun with the Ponyverse’s relaxed physics. The Doctor is wondering around, as he does. The Doctor watches another musical number; by all accounts he enjoys himself greatly. 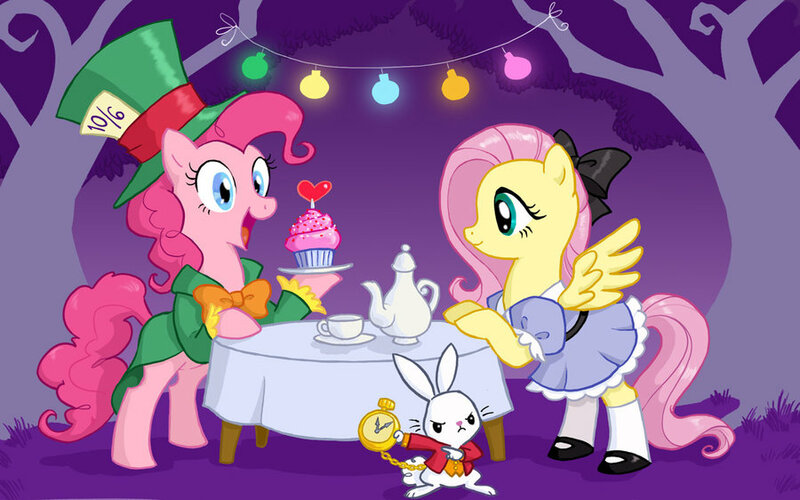 While attending a party at Canterlot, the main cast briefly encounter the Third Doctor, the Fifth Doctor, and the Eleventh Doctor. What they were doing together is currently unknown. Pinkie Pie somehow comes to the TVCU; while there, she tries to cheer up Dan by “bedazzling” his car. Poor Dan. While trying to get revenge on Pinkie Pie for “bedazzling” his car, Dan is frightened by her frolicking in the forest. 2011—“The Return of Harmony” Some children, er, young ponies argue in front of a statue which frees a chaos beast. A chaos beast which sounds exactly like Q from Star Trek (for the very good reason that both are played by John de Lancie). 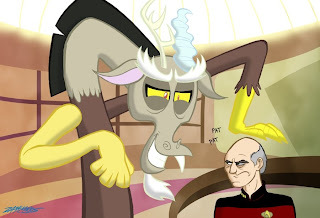 This chaos beast, Discord, does all of the things Q would do while playing with lesser beings. There should be no doubt that Discord is Q. The Dude and friends, from The Big Lebowski, sit in the local bowling alley. Yes. Bowling alley. It seems someone has been introducing various things to the nation of Equestra that could not have been invented by ponies: bowling, the Catholic chuch (??? ), and various holidays that are strangely reminiscent of TVCU holidays. 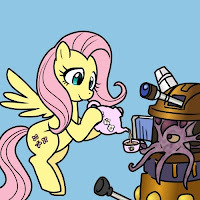 It seems the Doctor has slowly influenced the history of the Ponyverse so that, when he took refuge there to hide from his impending death, he would have all of his favorite things surrounding him. As for the Dude? He probably came with the Doctor. I can’t see him turning down a chance at a totally trippy trip into another universe. The Doctor takes part in yet another musical number. Then, later, he marks time for the competing cider makers. Regardless, the episodes are enjoyable—and entirely about the Tenth Doctor, so, for the moment, it seems logical to consider them some form of canon. The Doctor watches a parade. The Doctor attends a seminar by a motivational speaker. The Doctor assists Twilight Sparkle with preparations for what might very well be the end of the world, as she was warned by her future self. Time travel and its wibbly-wobbly after-effects are his specialty, after all. Everything blows over: the predicted end of the world was an accidently prank future-Twilight played on herself. While Pinkie Pie tries to discover who ate her cake, the Fifth Doctor looks at the entries in the baking contest. This is the Fifth Doctor’s second appearance in My Little Pony. The Doctor runs from shadow demons. If there’s one constant in the Doctor’s life, no matter where he goes in the omniverse, it’s running. Harry Potter crosses universes, takes on the shade of a pony, and attends the wedding. Why is this happening? Easter 2012--My friend Jadis adopts Twilight Sparkle (who was a present given to her by me). Twilight is reportedly very happy with her new friend, and is very helpful when it comes to writing papers. No, this blog has nothing to do with that. Nothing at all. Stop looking at like that. This blog was made for purely professional reasons. We're at the end of our time together. 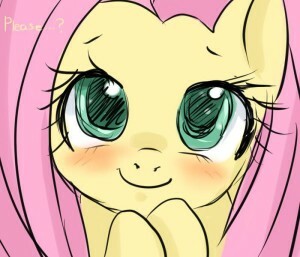 One last thing: here is a cover of the My Little Pony song "Smile" sung by a 13 year old girl, Zabrina. It's all kinds of heart warming and heart breaking. Enjoy. Do you just want to discuss shared universes in general? James Bojaciuk is the co-owner of the Television Crossover Universe. He is also CEO Dubious of 18thWall Productions and an editor at Super Entertainment. I'm surprised you missed another multi-Doctor get together during the big party of "Sweet and Elite" including 3,5, and 10. Apparently the 3rd Doctor also shows up during Granny Smith's big flashback, just off in the background enjoying himself. 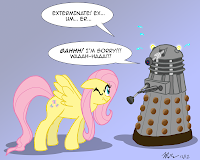 I have to say, the 3rd Doctor pony is a favorite and I don't know what I'd do if they ever have a 2nd Doctor (with Jamie?) 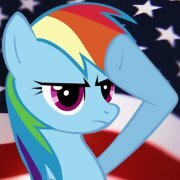 pony in the show.